Casapulla’s is not a franchise. Every location is Family (Famiglia) Owned and has it’s own touch of something special that makes each one a little different. 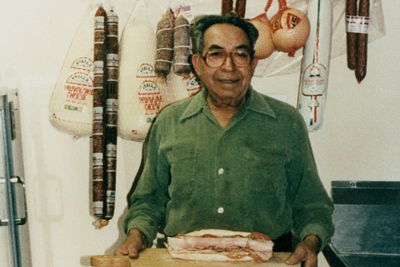 One thing that is consistent in every location is Grand Pop’s influence which inspired our Mission Statement: To follow in the footsteps of our founder, Luigi Casapulla’s, by serving the best subs, steaks, and delicatessen items, using the freshest ingredients and selling them at a reasonable price, in a friendly and courteous manner to as many people as possible.